Payette Land Trust | Annual Payette Land Trust Earth Day Celebration ! 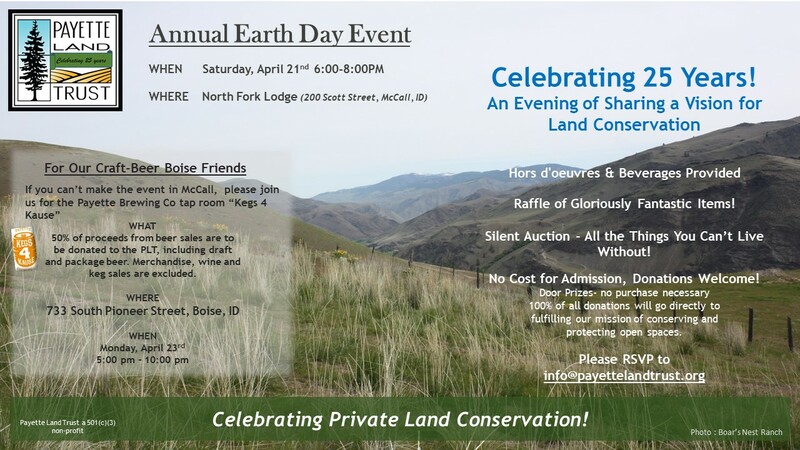 Annual Payette Land Trust Earth Day Celebration ! 18 Nov Annual Payette Land Trust Earth Day Celebration ! Come celebrate 25 years! An Evening of Sharing a Vision for Land Conservation, Preservation and the Years to Come!